Treasure Our Farms is education program designed to engage and inform the Ventura County community about the value of local agriculture. 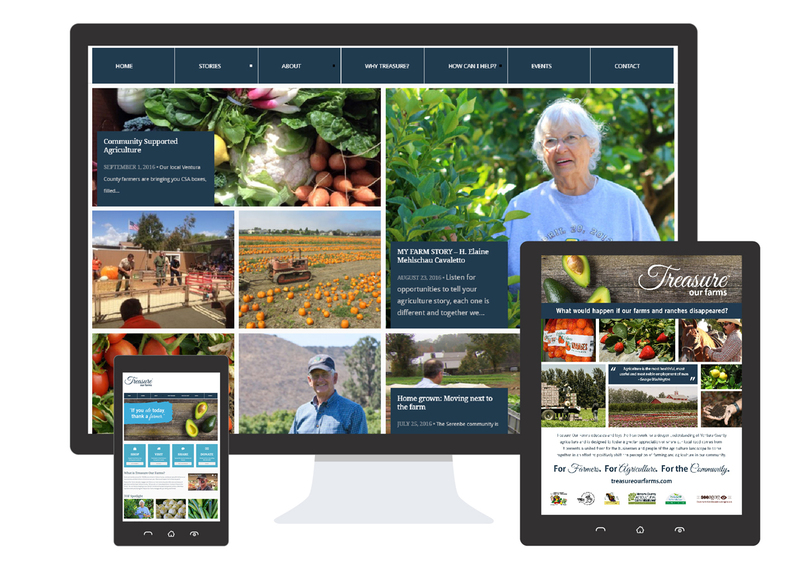 The program is designed to increase awareness about Ventura County’s deep farming and ranching history, the importance of having locally grown produce and to share the stories from local farmers. 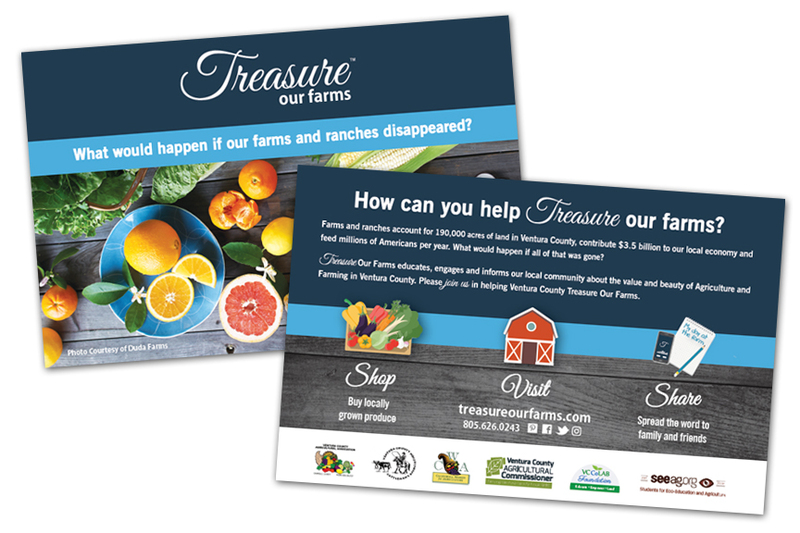 CM+PR used its brand development experience and custom research to develop Treasure Our Farms name, image and helped the program gain recognition in the local community. Farms and ranches account for 190,000 acres of land in Ventura County, contribute nearly $3.5 billion to our local economy and feed millions of Americans per year. Will you join us in educating Ventura County to ­Treasure Our Farms? You can help by shopping at your farmer’s marketing and buying locally grown produce, attending a local farm event and sharing the Treasure Our Farms message with your family and friends.